Tear-Aid is a safe, non toxic, transparent pressure sensitive adhesive that will fix rips, tears and holes on most surfaces and materials. Tear-Aid is extremely strong and very flexible. Tear-Aid is not a temporary repair solution, Tear-Aid is a permanent repair solution that can save money on expensive replacements. Don't replace! 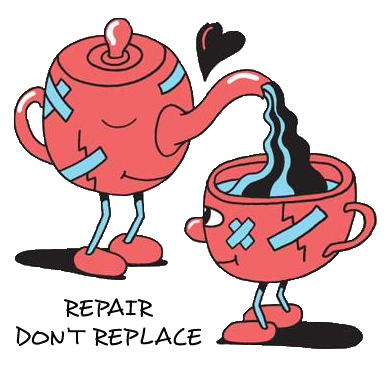 Repair that tear with Tear-Aid! Tear-Aid repairs damage to the following materials: Aertex, Aluminium, Angora, Aramid, Bamboo, Burlap, Calico, Canvas, Chiffon, Clarino, Coolmax® Mesh, Cordura, Corduroy, Cotton, Dacron, Damask, Denim, Dynax Mesh, DuPont™ Kevlar®, Exkin® Air, Faux Fur, Fibreglass, Flannel, Fleece, Foil, Gabardine, Georgette, Gore-Tex, Glass, Hydratex®, Hypalon, Jersey, Karvin Cowhide (PU Coated), Lace, Lamé, Leather, Leatherette, Linen, Lycra, Monofilm, Mylar, Neoprene, Net, Nylon, Peau de Soie, Polyamide (strong & durable), Polyester (lightweight & economical), PVC, Rayon, Satin, Silk, Spandex, Stainless Steel, Suede, Tapestry, Velour, Velvet, Voile, Vinyl, Wool, Zephyr, Zylon. Tear-Aid is available in Type A and Type B. Both types have the same unique qualities. Tear-Aid, a show of strength! The exceptionally strong repair tape!